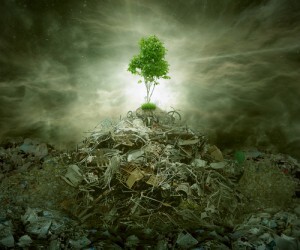 Providing the Marin area with professional, fast and eco-friendly junk removal services. It is vital that people see effective waste management as an essential practice in order to reduce the potentially dangerous threats that can result from the rising amounts of waste being generated on a yearly basis. People everywhere should exercise proper waste disposal and try to encourage eco-friendly alternatives in effort to support green living. In America a massive 220 million tons of waste is estimated to be generated annually and is possibly increasing due to the constant change in technology and trends. These figures are certainly astounding and is far larger than any other nation worldwide which has led government and several other environmental agencies to develop numerous strategies and policies in order to provide solutions that can effectively address this issue. Essentially waste management refers to a series of approaches and activities that are effectuated to manage waste from its inception to its final stop at a landfill. It also functions to provide alternative solutions for recycling items that don’t belong to trash. Generally this is done to encourage safe waste disposal and to avoid pollution, water contamination or any major health issues. Adverse health effects on large portions of the population, damage to the ecosystem and marine life are all consequences of poor waste disposal . Medical waste, E-Waste and construction waste also place waste management personnel at risk of serious injury when disposed of incompetently. The best solution would be to contact a professional waste removalist to manage the job. They not only have the equipment to safely and efficiently remove different types of waste but they also facilitate the transport and disposal of these items as well. Pollution has grown to become a very troubling issue in recent times and could mostly be attributed to the poor implementation of waste management programs and the improper disposal of waste according to studies conducted. Unfortunately this revelation has led authorities to plead with the public to exercise safe and responsible waste disposal and as a way to enforce and ensure it is carried out they have imposed hefty fines or possible jail time to violators. Effective waste management plays a vital role in our lives. So to encourage and promote effective waste management it would be best to incorporate safe and eco-friendly waste disposal practices into our daily lifestyles. It is only by doing this that we can ensure the health and safety of others while helping to keep the environment clean. Need help with waste disposal? Junk King Junk King is here to help as we specialize in the removal of all types of waste. Our top rated professional services and affordable pricing helps you to get your waste items removed safely and hassle free. So to be on the safe side give us a call at 1-888-888-JUNK to schedule an appointment right away or you can visit our website at www.junk-king.com for more information. This entry was posted in Uncategorized and tagged junk hauling, junk removal, junk removal marin on October 3, 2017 by Julian Torres, "JT". Last updated October 27, 2017 .